Are you having trouble getting a small business loan? It’s hard to secure small business loans with bad credit but, even though it is more difficult, it is not impossible because there are a number of alternative lenders who offer funding solutions for individuals with bad credit history. Getting a small business loan with these lenders is possible because they focus on more than your credit history to make a decision. They consider your operating history, the strength of your business, revenue, potential and other operational parameters in your loan application. NOTE: This list is for small businesses with bad credit and may not be helpful for those seeking a startup loan. For a list of lending resources more suited to startups, see this article on 10 Small Business Finding Resources. Small business owners are often turned away by lenders when they have poor credit. That’s because a bad credit score implies you have not managed your finances properly in the past. This also applies to young entrepreneurs looking for new business loans. The good news is both traditional and alternative lenders are making more loans. A strong economy and record low unemployment rates in 2018 are making all this possible. But a good credit score still carries great value, and if your score happens to be on the low side, here are some lenders you can take a look at when it’s time for getting a small business loan. 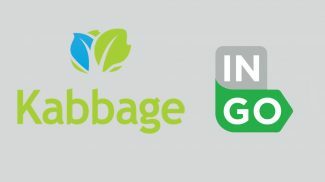 The best thing about Kabbage is that it does not require a minimum credit score to qualify. It does, however, check your credit history. If you are looking for some short-term working capital, Kabbage is worth trying. You can borrow from its line of credit and repay on an as-needed basis. To qualify, you should have minimum annual revenue of $50,000 and have been in business for at least a year. You must also have a business checking account, bookkeeping software or an online payment platform. It takes only a few minutes to complete the online application process and if approved you can get funds in just a couple of days. Fundbox does not have a minimum credit score or minimum annual revenue requirement. Instead, it takes the value of your invoices and ability to repay the loan into consideration. Funding is prompt and takes up to just three business days. 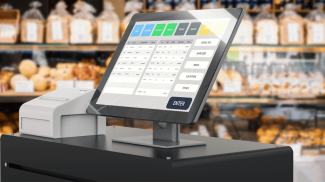 To qualify, you must use bookkeeping software or online accounting that can link to Fundbox and have a minimum of six months’ activity in one of these software applications. OnDeck offers both term loans and lines of credit. You can go for the term loan if you are looking for some quick cash to expand. If you want to manage your cash flow and working capital, a line of credit is your best option. To qualify for OnDeck’s term loan, you must have a personal credit score of 500 or higher. For a line of credit, your personal credit score should be at least 600. Once you complete the online application process, you’ll get a decision within a few minutes and funding as soon as the following day. Interestingly, OnDeck reports your payment activity to the three credit bureaus, which means paying off your loan on time can boost your credit score. If you lack collateral, have poor credit and unpaid invoices, you may consider BlueVine. The lender offers an advance based on the value of your invoices. Approval is based on the strength of your cash flow and the financial strength of your debtors. 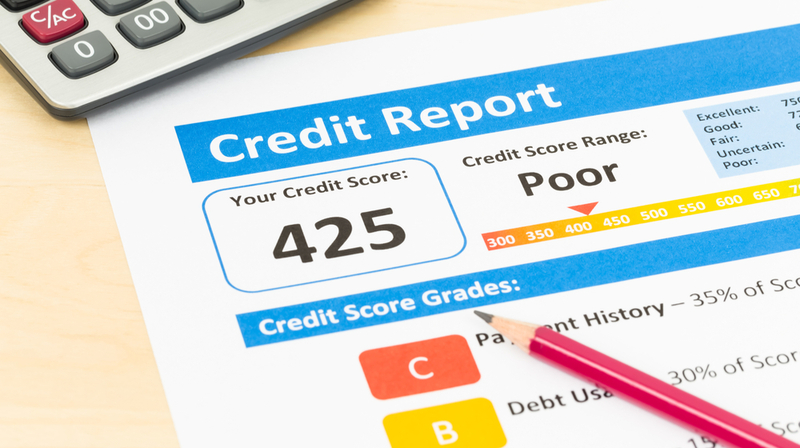 You do need to have a personal credit score of 530 or more to qualify. Also you should have at least $120,000 in annual revenue and have been in business for at least three months. If you have a new business, StreetShares is a good option to explore. The lender requires a minimum of one year in business and $25,000 in annual revenue. But even if you have been in business for only six months and you can qualify with $100,000 in revenue. You need to have a minimum personal credit score of 600 or more and a strong cash flow to be eligible. Dealstruck is a good option if you are looking for different loan products. The lender offers a term loan for expansion, an asset-based line of credit for businesses with unpaid invoices and an inventory line of credit for businesses that have recurring inventory purchase requirements. To qualify, you need to have a minimum credit score of 600, although company CEO Ethan Senturia has said that the company accepts scores in the 500 range. You also need at least $150,000 in annual revenue and need to have been in business for at least a year. A bad credit score may create problems for you when you try securing funds for your business, but it shouldn’t stop you from exploring options. You need to understand your needs and look for options that meet your requirements. These options gives hope to those people who are already buried in debt. But I am not a fan of taking a loan and having more debts to pay existing debts if you know what I mean. Aira, business debt is a different animal than consumer debt. It’s one thing to go into debt buying nice furniture, big tvs, vacations, etc. It’s another thing to go into debt to get bulk inventory discounts, finance equipment, expand restaurant seating, or anything else that will turn $1 of debt into $2 of revenue, for example. That’s what business loans are typically used for. There are lots of options when you want to borrow money, however, one of the challenges that you have to face is when you have bad credit score. Banks will most likely decline your application for a loan, and while there are firms who claim that they don’t look at your credit scores, there may still be other requirements. Before getting a loan, Biltmore Loan and Jewelry (biltmoreloanandjewelry.com) advised to identify first if you really need it, remember that you are committed to paying the money back so if the purchase is not necessary, you might as well skip on getting a loan. But if it is extremely important like paying the tuition or you lack funding for a business, then it would justify your need to borrow money. Aside from list given above, you may also consider getting a collateral loan like a car title loan which would allow you to borrow money using your car title as collateral but you get to keep your vehicle. In addition, a land title loan will also work out for you so you can get cash to fund your business regardless of your credit scores. None of these are for businesses just starting out. SIgh. No, they are not! Just wasted my time reading it all as well…another one bites the dust…so they say!! Do you recommend to get business loan from Lendingkart Group, I saw there ad in facebook & applied for it. I want to extend my bakery shop & needed around 8 lakhs. Recommend me any private institution as many banks have rejected my application !! We try to avoid recommending specific products or services here, but there are an increasing number of platforms that allow lenders to complete for your business. That may be one place to start. IP Tracing IP Hacking ISP(internet service provider)Upgrading your credit score to apply for loan, Hacking Mobile Number tracing Theft Mobile recovering, IPhone Hacking /Post Software Hacking Recovering Stolen Data, Hard disk Cloning, Twitter Hacking, Hotmail Hacking Rediff mail Hacking Yandex mail, Hacking Instagram Hacking, Pinterest Bitcoin Account clonning Hacking Dribble Hacking YouTube channel, Hacking Blogger Hacking WordPress Hacking WordPress Cloning Cpanel Hacking Database dumping Database editing Database securing Credit Fraud Recovering Windows Hacking WIFI Password. These are all loans for those in business. I am looking to open my business and order inventory. What is a good company for that without a minimum credit score? Did you find a lender for starting your business? I am looking for the same thing. Please let me know if you have found a lender . The strength of your personal credit score has a direct correlation to the amount you are looking to borrow. The greater the amount, the more important the score will affect the decision by the lender. Because what does the credit score indicate? It shows the ability to keep an individuals finances tidy. There are extenuating circumstances, like health challenges or horrific student loan stories and some lenders may be willing to consider your personal credit challenges if you are up front and have all your documentation available backing up your story. Getting money in advance of doing any business is called “mobilization capital.” This means you are looking for capital to help start a business and don’t have customers yet. This is also known as unsecured lending and is typically very difficult to secure. Your best bet in these situations is to try and raise seed capital investment aka friends and family investors. If your hot idea is really as good as you think, you should be able to find friends to join up and start up a company. I am trying to get a loan to make small repairs on my semi truck. it was my husbands and has been sitting up for about five years, and i would like to get a loan to fix it and drive it. would you have any advice for me?